The US intelligence community is directly communicating with members of Venezuela’s military in attempts to convince them to abandon beleaguered President Nicolas Maduro while also considering additional sanctions to ramp up the pressure, a senior White House official divulged to Reuters. MOSCOW (Sputnik) - It is Washington's instructions impeding a dialogue between the Venezuelan government and the opposition, Venezuelan Vice President Delcy Rodriguez said in an interview with the broadcaster RT. The development comes just a few days after US President Donald Trump said that Washington's military intervention in crisis-hit Venezuela was "an option". 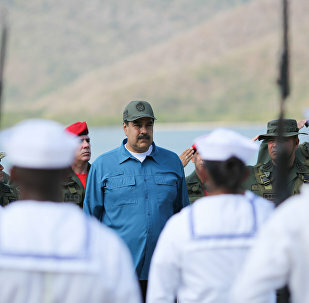 Earlier this week, WH National Security Adviser John Bolton tweeted that the US would consider lifting sanctions on top Venezuelan military officers if they back opposition leader Juan Guaido. 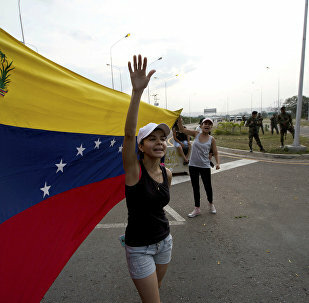 MOSCOW (Sputnik) – The decision by Venezuelan opposition leader Juan Guaido to proclaim himself interim president is not based on the country’s Constitution and is even less legitimate than the government of Venezuelan President Nicolas Maduro, Uruguay’s Foreign Minister Rodolfo Nin Novoa said in an interview with local broadcaster Radio Mundo. MEXICO CITY (Sputnik) - Venezuelan opposition leader Juan Guaido on Friday urged his supporters to take to the streets over the weekend to demand that authorities stop blocking US aid supplies. MEXICO CITY (Sputnik) – Mexican President Andres Manuel Lopez Obrador called on Friday on the international community to provide Venezuela with humanitarian aid without any "political intentions." WASHINGTON (Sputnik) - The United States will continue to use all measures available to stop Venezuelan President Nicolas Maduro’s revenue streams, National Security Advisor John Bolton said in a statement on Friday. WASHINGTON (Sputnik) - Senators Amy Klobuchar, Mike Enzi and Patrick Leahy on Friday reintroduced major legislation to lift the US trade embargo imposed on Cuba, Leahy’s office announced in a news release. MOSCOW (Sputnik) - Two mining companies in the Brazilian state of Minas Gerais announced on Friday the evacuation of a total of 700 people living near their tailings dams as precautionary measures against new dam collapses in the region. 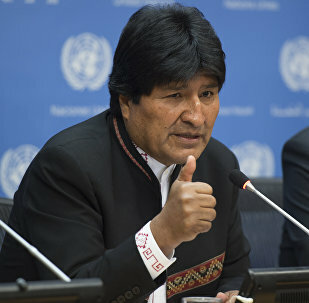 MONTEVIDEO (Sputnik) - The United States is demonstrating double standards toward Venezuela, by first "strangling" the country’s economy with the help of sanctions, and then allocating humanitarian aid to it at the request of opposition, Bolivian President Evo Morales has stated. 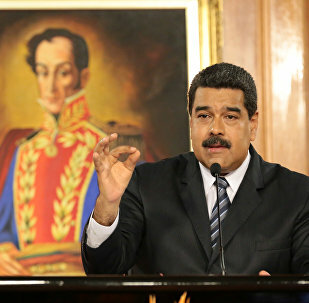 Venezuelan President Nicolas Maduro previously appealed to US citizens to ask them for support and to prevent the Trump administration from turning his country into “another Vietnam”. 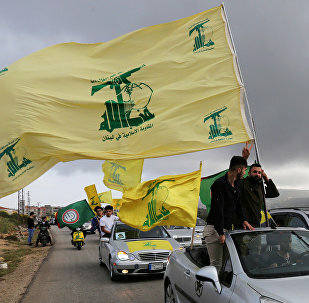 The EU and most of the bloc's member states have thrown their weight behind self-proclaimed interim President Juan Guaido, following the US’ suit. Speaking to Sputnik, former Ambassador Paul Webster Hare, a British diplomat for 30 years, shared his views on the controversy simmering around the Venezuelan political and economic crisis. The fire that ignited at the Flamengo training ground in the Brazilian city of Rio de Janeiro has killed at least 10 people, Douglas Henaut, Lieutenant Colonel of the Rio Fire Department confirmed to reporters. At the same time, Reuters has reported about three more injured in the blaze. MOSCOW (Sputnik) - Caracas did not send to Moscow a request for Russian military assistance, Alexander Shchetinin, head of the Latin American department at the Russian Foreign Ministry, said in an interview with Sputnik. From the very beginning of the political crisis in Venezuela, the United States made it clear it was supporting the head of the opposition-led National Assembly, Juan Guaido, who declared himself the Latin American country's interim president. Since then, Washington has been pressuring Nicolas Maduro, Venezuela's incumbent president, to resign. 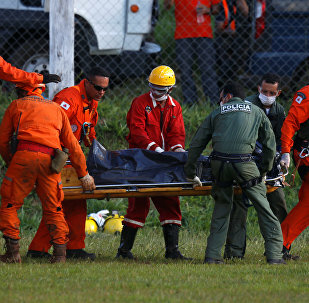 MEXICO CITY (Sputnik) - The death toll from the dam collapse in southeastern Brazil grew to 157 people, local media have reported.